Jovica Stanišić was the Head of the State Security Service (“DB”) of the Ministry of Internal Affairs of the Republic of Serbia (“MUP”). Franko Simatović was employed in the Second administration of the DB of the MUP. Both accused were acquitted of all charges by an ICTY Trial chamber on 30 May 2013. On 15 December 2015, the ICTY Appeals Chamber ordered that Stanišić and Simatović be retried on all counts of the indictment. Recent developments: The trial commenced before the Mechanism on 13 June 2017. Initial indictment filed on 1 May 2003. Operational indictment filed on 10 July 2008. Delivered on 30 May 2013. Both Accused acquitted of all charges. Filed in writing on 9 December 2015. Delivered on 15 December 2015. The Appeals Chamber ordered a retrial. Appeared before the Mechanism on 18 December 2015. Both Accused pleaded not guilty. The trial commenced before the Mechanism on 13 June 2017 with the Prosecution’s opening statement. Both Accused made their initial appearances before the Mechanism on 18 December 2015 and pleaded not guilty. On 12 October 2016, the Prosecution filed a public redacted version of its pre-trial brief (filed confidentially on 5 September 2016). On 7 November 2016, Jovica Stanišić and Franko Simatović filed confidentially their Defence pretrial briefs. In accordance with the Trial Chamber’s decision of 2 February 2017, the Prosecution filed a revised pretrial brief on 9 March 2017, and the Accused filed their respective revised pre-trial briefs on 30 March 2017. The pre-trial conference took place on 17 May 2017. The operational indictment was filed on 10 July 2008 before the ICTY and will remain the relevant indictment for retrial at the Mechanism. The indictment alleges that Jovica Stanišić and Franko Simatović were co-perpetrators in a joint criminal enterprise (“JCE”) that came into existence no later than April 1991 and continued until at least 31 December 1995. The alleged objective of the JCE was the forcible and permanent removal of the majority of non-Serbs from large areas in Croatia and Bosnia and Herzegovina. The trial before the ICTY against Jovica Stanišić and Franko Simatović lasted from 9 June 2009 until 31 January 2013. 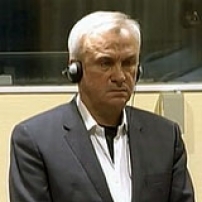 On 30 May 2013, Trial Chamber I of the ICTY found, by majority, Stanišić and Simatović not responsible for committing the crimes alleged in the indictment through participation in a JCE, as the Trial Chamber found that it was not established beyond reasonable doubt that they possessed the requisite intent to further the common criminal purpose. The Trial Chamber held that it had not been proven beyond reasonable doubt that they had planned or ordered these crimes or, by majority, that they had aided and abetted these crimes. Consequently, the Trial Chamber, by majority, acquitted Stanišić and Simatović on all counts of the indictment. Following the Prosecution’s appeal, the ICTY Appeals Chamber on 15 December 2015 granted, in part, the appeal and quashed the acquittals. The Appeals Chamber, by majority, found that the Trial Chamber erroneously failed to make findings on the existence and scope of a common criminal purpose shared by a plurality of persons prior to finding that the intent of Stanišić and Simatović was not established. In so doing, the Appeals Chamber, by majority, found that the Trial Chamber erred in law by failing to adjudicate and provide a reasoned opinion on essential elements of JCE liability. The ICTY Appeals Chamber ordered that Stanišić and Simatović be retried on all counts of the indictment pursuant to Rule 117(C) of the ICTY Rules of Procedure and Evidence.